Sway along to contemporary Indian music and singing by a live musician on board! Good experience. Good indian food and suporting staff. 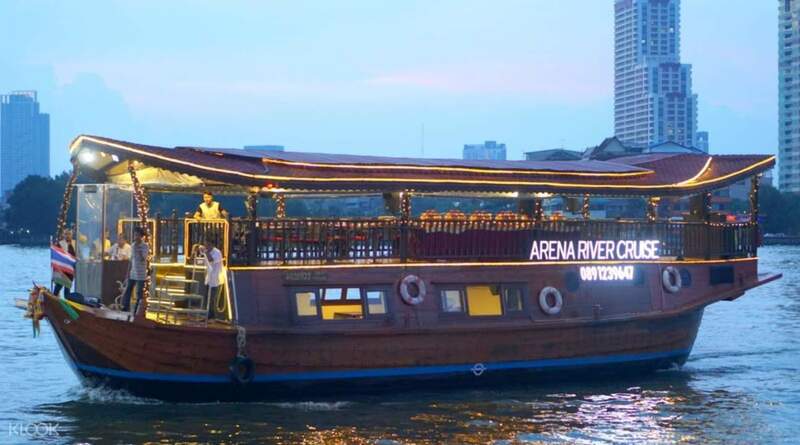 See the beautiful panoramic views of the city, stopping from one historic landmark to another, as you ride on a truly romantic Arena River Cruise in Bangkok. 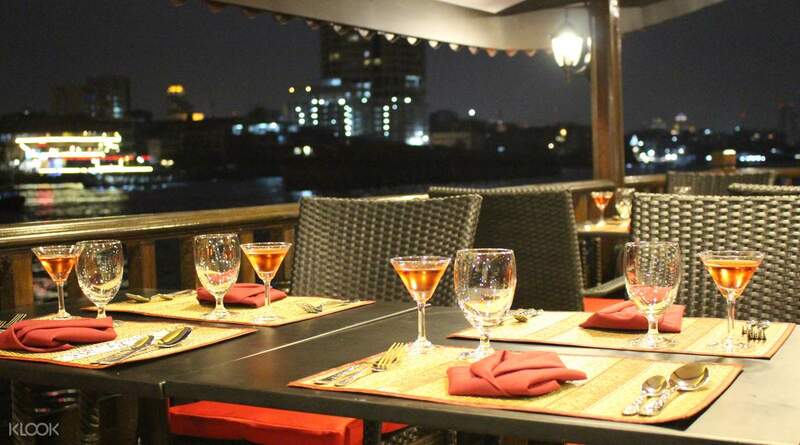 You'll hop aboard an authentic Thai rice barge on the Chao Phraya river and begin your cruise over this legendary Asian river. An Indian music accompaniment will make your journey even more memorable and romantic as you make your way from one riverside landmark to another. 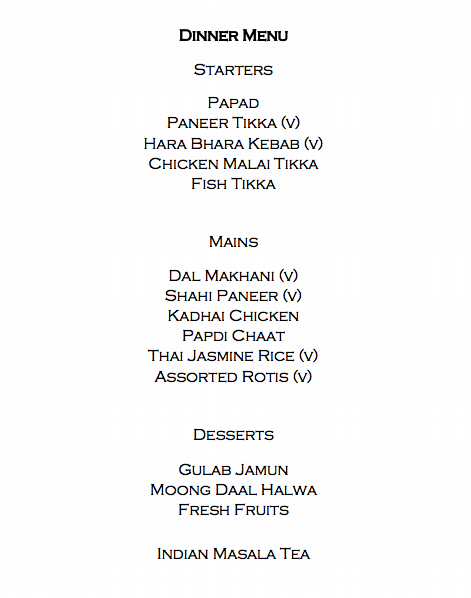 You'll also be able to dine on an authentic, Indian buffet dinner to truly round out the experience. Put up your feet, relax, and take in the splendid city skyline and its illustrious sights for an evening of wonder. 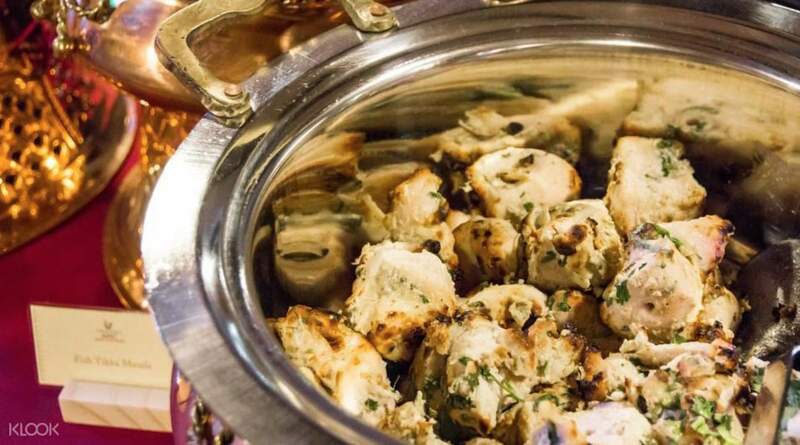 Enjoy a traditional Indian buffet dinner as you cruise over the river! Additional drinks and wines are available for purchase on board. Please see the menu for drinks and the wine list. 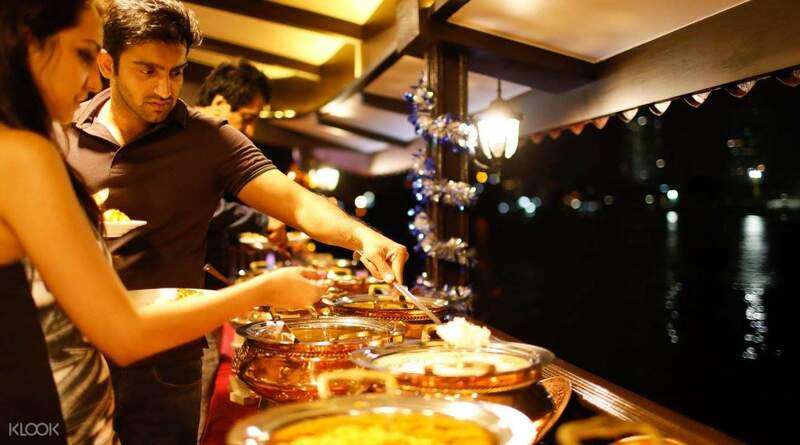 It is one of the most exciting activity to spend a healthy and entertaining evening on river with dinner along with city sight seeing. Me and my family loved it the most. Especially music on boat. 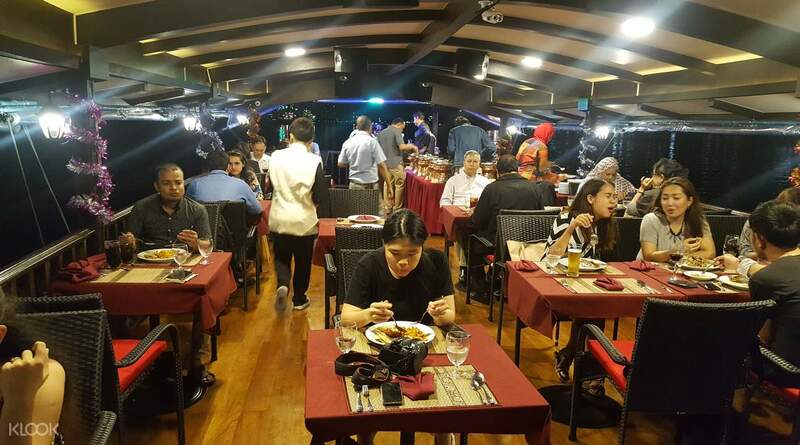 It is one of the most exciting activity to spend a healthy and entertaining evening on river with dinner along with city sight seeing. Me and my family loved it the most. Especially music on boat. Not so flashy boat as you will see otherwise... but u will have a great time with live performance for Bollywood old and new songs, DJ and Dhol.. icing on the cake is the Indian food... loved it! Not so flashy boat as you will see otherwise... but u will have a great time with live performance for Bollywood old and new songs, DJ and Dhol.. icing on the cake is the Indian food... loved it! It was amazing to see Indian faces in Bangkok. Ambience and the experience were excellent. Food was just ok. Would appreciate if they can improve the quality and taste of the food provided. They can also consider providing transfers by charging little extra bucks. It was amazing to see Indian faces in Bangkok. Ambience and the experience were excellent. Food was just ok. Would appreciate if they can improve the quality and taste of the food provided. They can also consider providing transfers by charging little extra bucks. Beautiful river cruise on Chao Phraya. Excellent experiment. A must go in Bangkok. The cruise is less crowdy other cruises. A group of local Indians organised it. Beautiful river cruise on Chao Phraya. Excellent experiment. A must go in Bangkok. The cruise is less crowdy other cruises. A group of local Indians organised it. it was the ultimate journey we had in Bangkok. if you are an Indian and like bollywood music and songs and you are planning to go with your loved one, then this is the must. food on board is really good. I liked the hospitality provided by the host. thanks don't forget to leave your hotel 90 minutes before your start time. it was the ultimate journey we had in Bangkok. if you are an Indian and like bollywood music and songs and you are planning to go with your loved one, then this is the must. food on board is really good. I liked the hospitality provided by the host. thanks don't forget to leave your hotel 90 minutes before your start time. Excellent on board service especially by lady singer who sings beautifully all the requested songs, even celebrating one of the passenger bday. Though it's sad that for halal food, separate cook ware and utensils was not used. Excellent on board service especially by lady singer who sings beautifully all the requested songs, even celebrating one of the passenger bday. Though it's sad that for halal food, separate cook ware and utensils was not used. Food was not so good. Service was great. Also the atmosphere feels totally Indian which is a good thing. They sing live indian songs as well. Overall its worth the money..just need to increase the quality of food. Food was not so good. Service was great. Also the atmosphere feels totally Indian which is a good thing. They sing live indian songs as well. Overall its worth the money..just need to increase the quality of food. Its a traditional kind of boat. Small and good, not like other big & overcrowded ones. Food is tasty and staff are very helpful. The live singing is another thing we enjoyed much. Its a traditional kind of boat. Small and good, not like other big & overcrowded ones. Food is tasty and staff are very helpful. The live singing is another thing we enjoyed much. good concept. excellent singers. the food was average. nice to see the sights along the river at night .overall we had fun. good concept. excellent singers. the food was average. nice to see the sights along the river at night .overall we had fun.